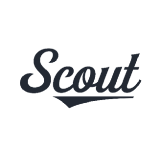 We at Scout just want to start by thanking you for trusting us, and for using us as a tool for your business. We know running a business is an intimate thing, and allowing us to be part of your story makes us feel really good about what we do…so thank you. This update is for you.